Maramures, in northern Romania, is one of the few remaining places in Europe where a traditional lifestyle is still preserved, and moreover, cherished and respected. The picturesque mountainous landscape of Maramures provides the backdrop on which the inhabitants of these blessed lands have lived their existences for centuries. 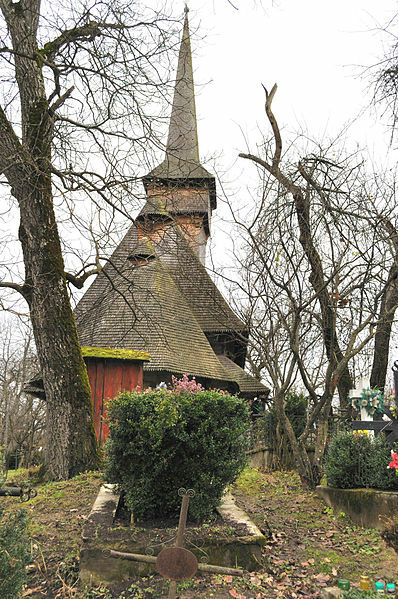 Here’s a list of the finest Romanian wooden churches of Maramures. Historically, Budesti Josani was the Greek Catholic part of the village of Budesti, which was first mentioned in a document in 1361. One of the largest Romanian wooden churches, the church, which dates from 1643, is 18 meters long by 8 meters wide and features a 26 meters steeple, with four additional smaller turrets on each of its corners. The Budesti Josani church was beautifully painted in 1812 by Ianos Opris, a noted post Gothic artist, who also authored the centerpiece of the edifice, an icon depicting the “Coronation of the Virgin Mary”. 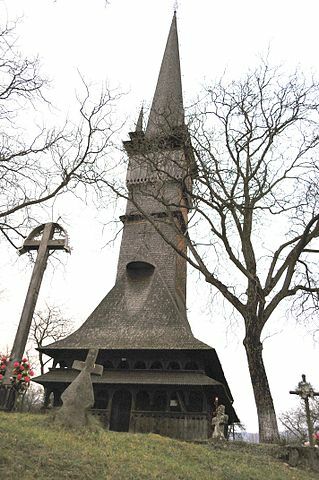 History buffs should know that the church shelters the weapons and mail of the famous Romanian hero Pintea Viteazu. The name of the Ieud Deal (Ieud Hill) Orthodox church comes from its location on the upper side of the village of Ieud, as opposed to the Greek Catholic one in the lower side. Scholars disagree about the age of this imposing Romania wooden church, with some maintaining that it dates from 1364, while others supporting the theory that the edifice was built in the 16th century. 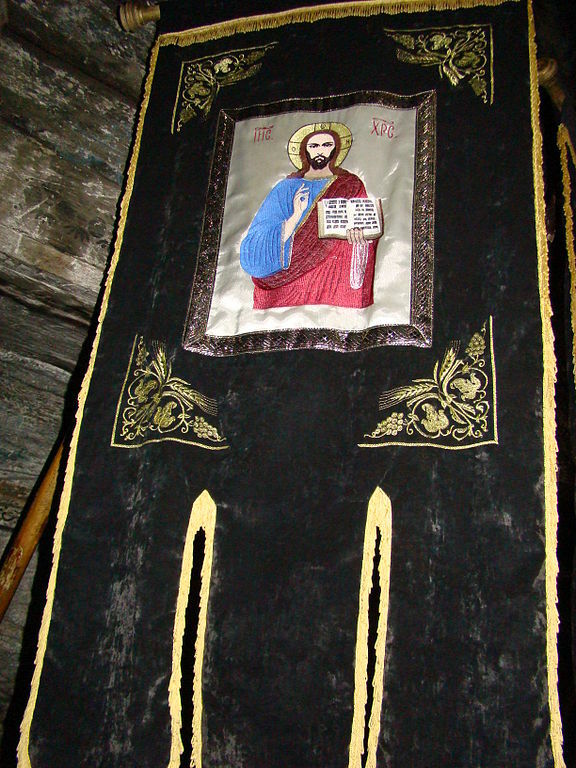 Inside the 12 meter long church, the walls are covered in murals, some of which contain advices to the faithful, written in Romanian with Cyrillic characters. The fine folk of Poienile Izei built their Orthodox church in 1632, documents say, though some believe the edifice is actually older, as the square shape of the apse of the altar seems to suggest. Painted during 1784 and 1795, the wooden church is dedicated to Saint Parascheva and is a part of the UNESCO World Heritage like other Romania wooden churches throughout Maramures. Perhaps the most distinctive feature of the Poienile Izei church is the crescent on top of the cross, which, legend has it, was meant to defend the church from the attacks of the Tartars, but is actually symbolizing the Cosmic Liturgy. The renowned wooden church of Barsana was built in 1711 as a part of the Barsana Monastery, but it has since been relocated not once, but twice, to its current position. The final relocation, from 1795, put the church in the middle of a cemetery where many victims of a terrible plague that swept the area were entombed. Following relocations and restorations, a two level verandah was added to its west side, supported by beautifully sculpted wooden pillars. Inside, the church is decorated with scenes from the Genesis and the Judgment Day. 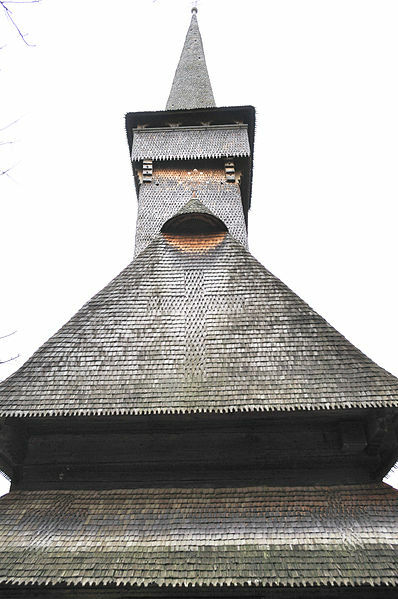 Located on a wooded hill, next to ancient cemetery that contains a few Celtic crosses, the wooden church of Desesti was built in 1770 following attacks of the Tartars that destroyed a previous construction. Inside the exquisitely built timber church, typically Byzantine elements combine with features that are typical to Maramures, including representations of the hell’s demons, such as the Death, Plague and Hunger, but also depictions of the heaven that awaits the faithful. 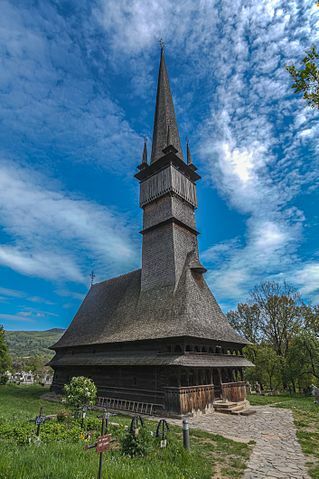 The church was restored in the 1996-1998, and is one of the finest of all Romanian wooden churches. 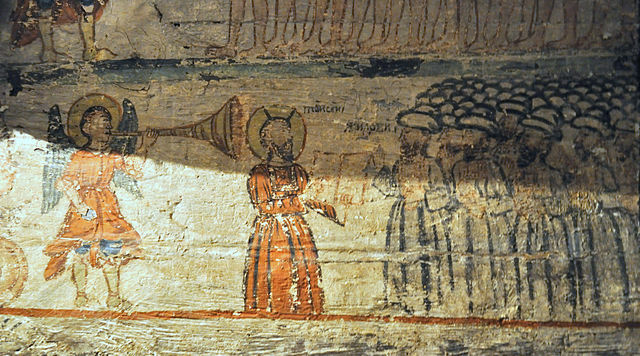 Dedicated to the Holy Archangels Michael and Gabriel, the wooden church of Plopis Sisesti is considered by some the Sistine Chapel of Maramures, thanks to the artistry of its paintings and decorations. Even more impressive about this 47 meter high church is the fact that it was built in 1805 by woodworkers from Plopis, which at the time was a small village of about 200 inhabitants. Forty nine coins were discovered at the foot of the Communion table, which tell us that 49 families contributed to the creation of the edifice. Rogoz is a modest village in the Lapus region of Maramures County, but this small settlement of 500 or so families boasts several worship places including the Holy Archangels Michael and Gabriel Orthodox, built in 1663. A UNESCO World Heritage Site, the church was first painted in 1785 with scenes from the Book of Genesis, the Last Supper, and various parables of the New Testament. 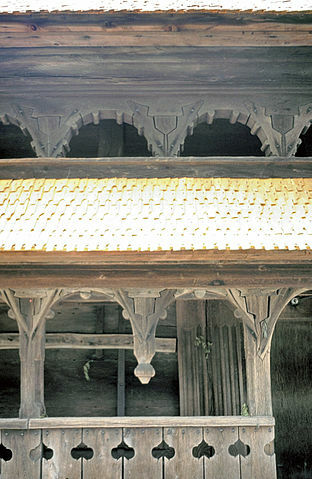 Visitors can admire the distinctive woodwork, which includes laic elements such as stylized horse heads. 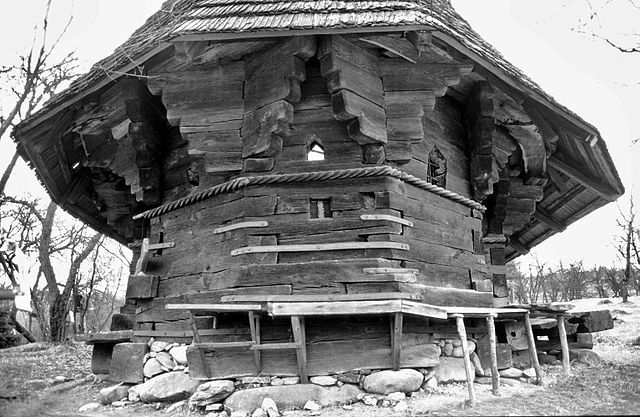 Sarbi Susani refers to the upper part of the village of Sarbi, which is part of the commune of Budesti, Maramures County. 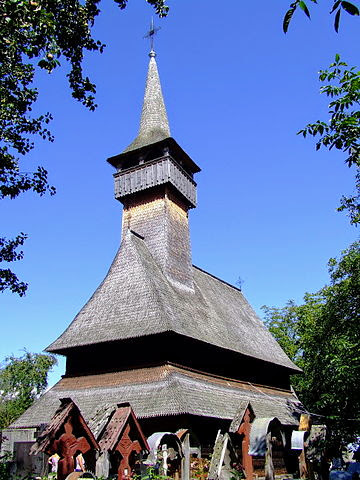 Dedicated to Saint Parascheva and built through the efforts of local families, this 1639 wooden church is just 10 meters long by 5.8 meters wide. The distinctive feature of this edifice is the portal of the frontal door, which represents a liturgical calendar. Bearing the symbol of the sun in its upper corners, this portal marks the major events of the Christian calendar with crosses. 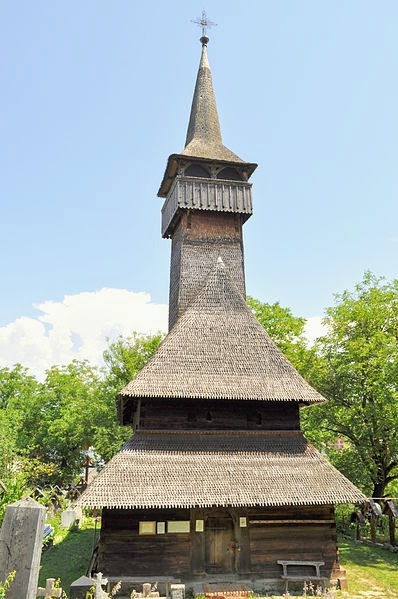 A prime example of the 17th century religious architecture of Maramures, the Saint Parascheva wooden church of Sat Sugatag, part of the Ocna Sugatag commune is known for its precious icons, including one of its patron saint and one Saint Nicholas. The handiwork of local women can be admired in the form of handmade altar linen decorated with the typical motifs of the Maramures region. One of the special architecture features of this church is the “twisted rope” decoration, which scholars believe may have its origins in the times when the area was inhabited by free Dacian tribes. 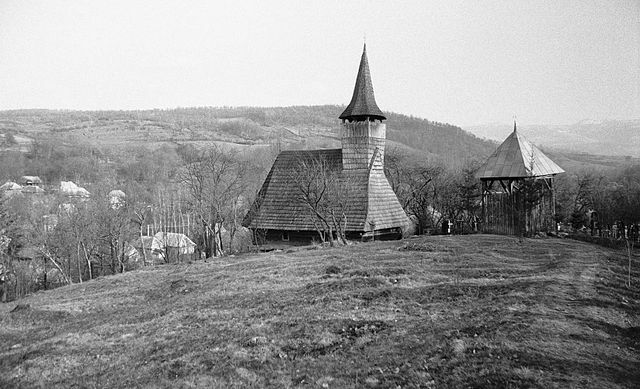 Part of the Sisesti commune, along with Plopis, the village of Surdesti was, for a long time, home of the tallest wooden church in the world and the tallest wooden construction in Romania. While the Sapanta-Peri Monastery in northern Maramures now holds that record, the Saint Archangels Michael and Gabriel church of Surdesti is still extremely impressive, especially when you take into account its history of 247 years. Not a single metal nail was used in the construction of this wooden masterpiece, a testimony to the incredible craftiness of master carpenters and woodworkers that built it.